Explanation: What if you saw your shadow on Mars and it wasn’t human? Then you might be the Opportunity rover currently exploring Mars. 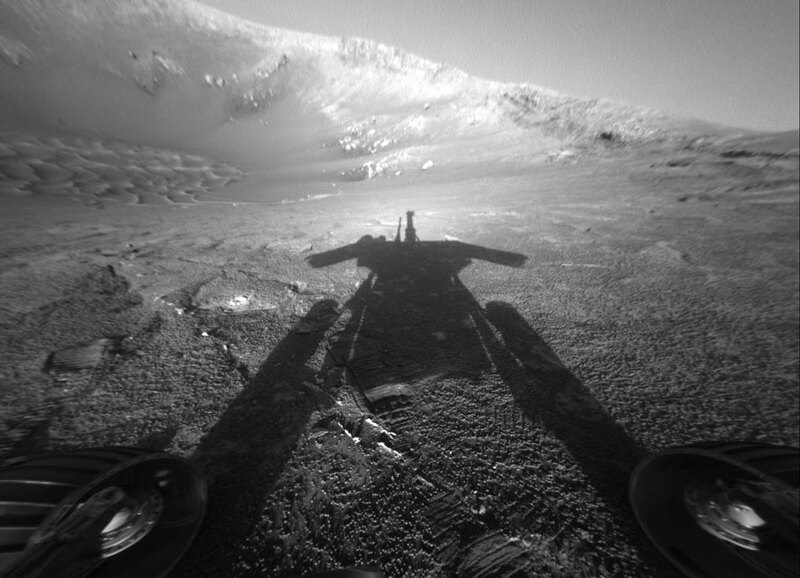 For more, see APOD: 2011 May 8 – Shadow of a Martian Robot.